You can grow chrysanthemums for exhibitions with enormous blooms, but that requires all kinds of specialist techniques. 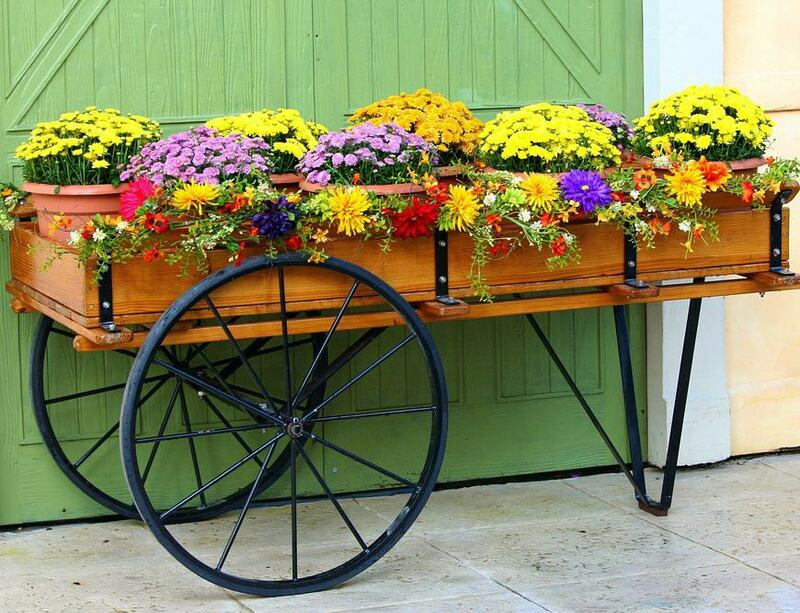 For most gardeners, chrysanthemums are far better outin the garden than on greenhouse benches, where they provide fulsome sprays of mauve, red, white, yellow and orange, in flowers that range from large balls, to open stars like large daisies, to spidery shapes with thin dangly petals. 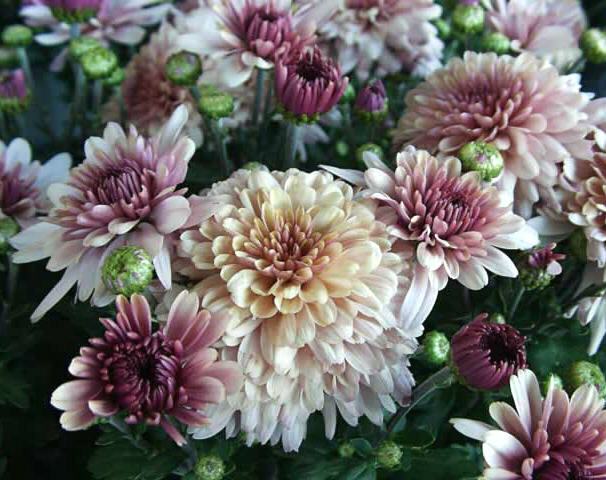 The pom-pom chrysanths are hardy and are the latest of the varieties to come into flower. The single varieties are prolific flowerers and drop abundant seed so that in the spring time, many seedlings can be collected and replanted where they are needed to flower. The early flowering chrysanthemums flower for about six weeks starting at the beginning of October. Many of these plants will not survive a harsh winter so a few should be kept protected, in a cold frame of similar, as stock. In the spring their roots can be divided to provide as many plants as needed. 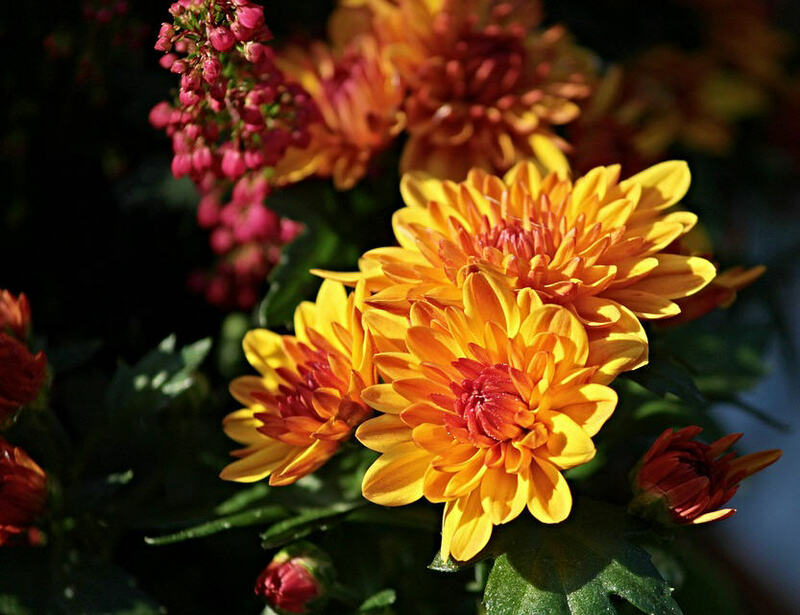 The chrysanthemum is a fairly easy flower to cultivate as it grows happily in many different types of soil, always provided the soil is well-drained. Too much water in the ground during the winter months will cause the roots to rot. Spring is the time to lift and divide large clumps of chrysanths if required. Just as the first new shoots are beginning to show is the optimal time to do this. This periodic thinning of large clumps of chrysanths will encourage more vigorous plants and larger flowers. 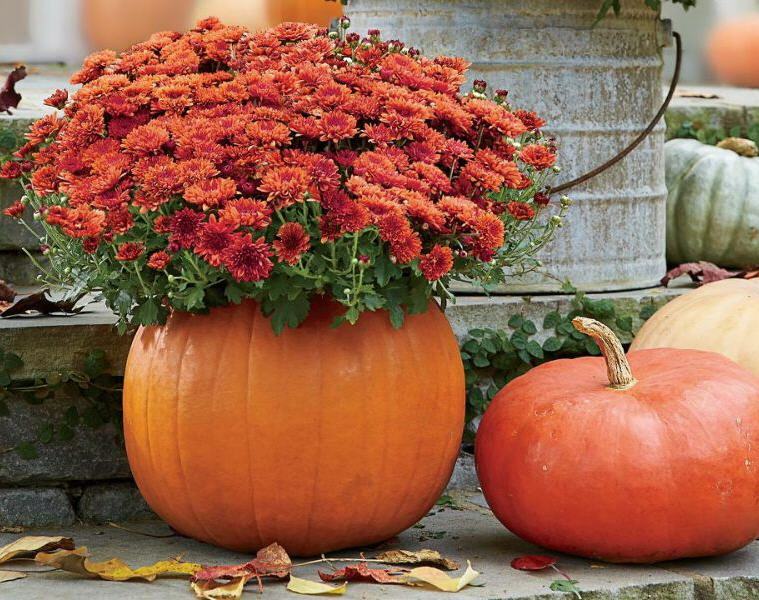 Chrysanthemums should be planted about 18 inches to 2 feet apart (depending on the variety) and as they start to grow, the tips should be pinched out to encourage side shoots with a resulting bushy growth. This pinching out can be continued right through until mid-June. With many varieties, this pinching out will eliminate the need for staking to support the plants. 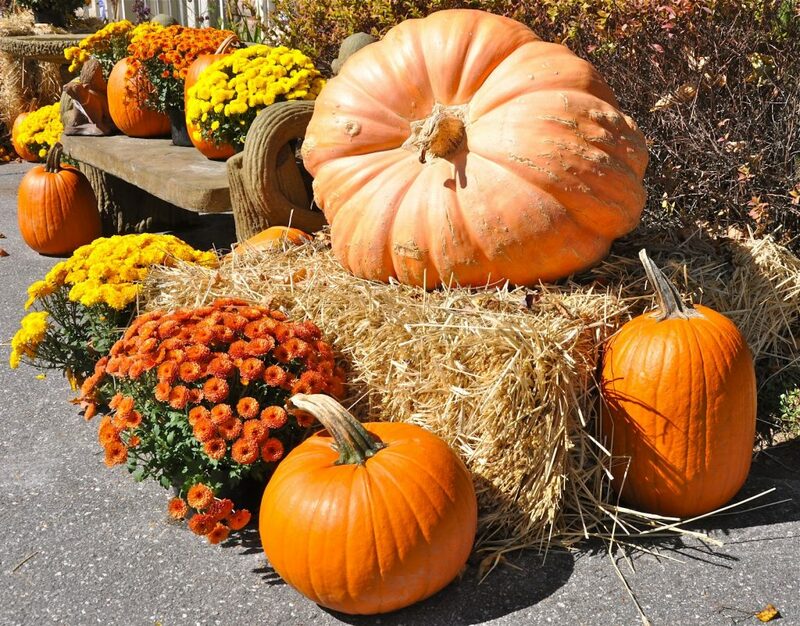 To encourage vigorous plants, adding a well-rotted manure or mulch in summer will help conserve moisture in the soil, and any rain which falls will wash the fertilizing element of the mulch down to the plant roots. Every garden should have one. 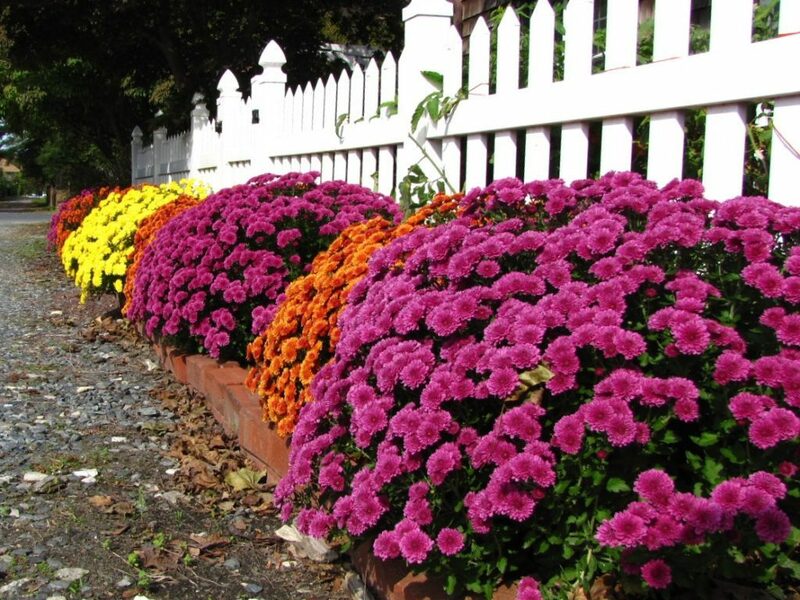 Patio gardens, cottage gardens, architectural displays, and even modern gardens with all kind of geometric shapes benefit from the late-season boost of color and warmth that chrysanthemums provide.